Want to gift your friend or family with something entertaining? Then, Cineplex gift cards would be a great choice. Cineplex Gift Cards may be used towards the purchase of admissions, concessions, and merchandise at any Cineplex theatre, or at cineplex.com. 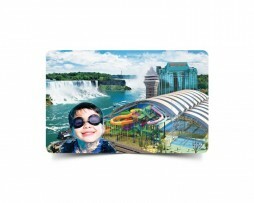 *CINEPLEX Gift Card, Logos, Slogans And Related Marks Are The Property Of Cineplex Entertainment LP. All Rights Reserved. Cineplex gift card is redeemable at any Cineplex theatre, or at cineplex.com. Cards cannot be returned or redeemed for cash unless required by law. To check the balance on your Cineplex gift card, call their customer service at 1-800-544-7573. Alternatively, you can check the balance by visiting cineplex.com. Cineplex Gift Cards may be used towards the purchase of admissions, concessions, and merchandise at any Cineplex theatre, or at cineplex.com. Cards cannot be redeemed or exchanged for cash or other cards unless required by law. Cards are reloadable. Lost/Stolen cards will not be replaced. Cineplex may, in its sole discretion, not replace damaged Cards. SCENE points are not issued on the sale of Cards. Receipt and/or use of this card constitutes acceptance of these terms and conditions. Balances available at cineplex.com or 1-800-544-7573. Issued by Cineplex Entertainment. Treat this as cash.